NHS demise: Incompetence or a deliberate act of capitalist vandalism? Suspicions that the demise of Britain’s public services is an act of deliberate capitalist vandalism have surfaced following a winter of discontent for the health service. 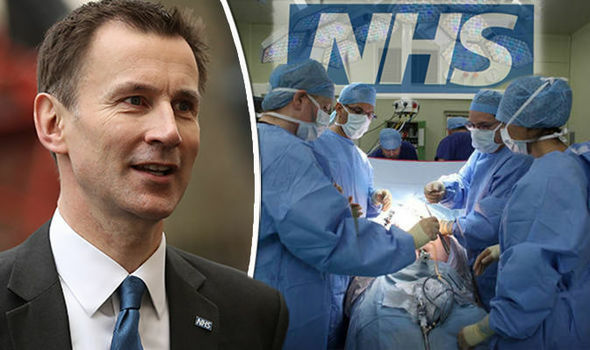 Almost 15 per cent of England’s A&E patients waited more than four hours to be seen last month – the joint-worst figure on record – as senior doctors warn of patients dying in corridors. Many hospitals are without even a single free bed, with one consultant saying that he could not even make any more space in the department’s hallways for new patients to be admitted. Suspicions that the NHS was deliberately been run into the ground were aired in parliament last month by Dennis Skinner, who accused the secretary of state for health for allowing the situation to get worse “so that the private sector can move in and take the lot”. Private firms such as Virgin Care have ramped up their involvement in providing care and many jobs are now getting outsourced to firms such as Carillion, whose recent collapse is costing tax payers £5.4 million a day. LBC presenter James O’Brien today questioned whether the demise is incompetence or a conspiracy on his show. Wandering around my wonderful local community Hospital yesterday, I discovered an entire ward, fully equipped, but empty of people and with the lights out. So many ‘bedblockers’ could be released into excellent NHS care – if this Government paid enough money to staff their underused hospital facilities. This is such an evil situation. of course its intentional they have no interest in a publicly owned anything and they are queuing up to divide up our health service for themselves and their friends who have health service companies. The US private health provision and insurance multinationals are the most powerful lobbying organisation in the world, and they want to expand their operations in Europe. Why else would Simon Stevens be headhunted from United Health to lead NHS England if it were not part of Hunt’s plans to destroy the NHS which like other neoliberals he deplores all the more as it has been so successful in providing efficient evidence-based health care as a collective good? For Hunt, private ownership and competition, including all its tendencies to crisis, is an ideological goal in itself; as in the case of Carillion, every crisis is an opportunity for more money to be made, and health services are something that populations can hardly do without, an ideal situation for extracting money.